The items contained in this update were drawn from www.dailyclimate.org, www.sciencedaily.com, http://news.google.com, www.climateprogress.org, www.sfgate.com, and other sources as indicated. This is a compilation of information available on-line, not verified and not endorsed by Point Blue Conservation Science. You can view past issues of this at the. You can also receive this news compilation by signing up for the California Landscape Conservation Cooperative Newsletter or the Bay Area Ecosystems Climate Change Consortium listserve. You can also email me directly at Ellie Cohen, ecohen at pointblue.org with questions or suggestions. Tropical rainforests have long been considered the Earth’s lungs, sequestering large amounts of carbon dioxide from the atmosphere and thereby slowing down the increasing greenhouse effect and associated human-made climate change. Scientists in a global research project now show that the vast extensions of semi-arid landscapes occupying the transition zone between rainforest and desert dominate the ongoing increase in carbon sequestration by ecosystems globally, as well as large fluctuations between wet and dry years. This is a major rearrangement of planetary functions. An international study released this week, led by Anders Ahlström, researcher at Lund University and Stanford University, shows that semi-arid ecosystems–savannahs and shrublands–play an extremely important role in controlling carbon sinks and the climate-mitigating ecosystem service they represent. “Understanding the processes responsible for trends and variability of the carbon cycle, and where they occur, provides insight into the future evolution of the carbon sink in a warmer world and the vital role natural ecosystems may play in accelerating or slowing down human-induced climate change,” says Anders Ahlström. Tropical rainforests are highly productive, and this means that they take up a lot of carbon dioxide, but rainforests are crowded places with little room to fit in more plants to do more photosynthesis and to store carbon. In addition, the typical moist, hot weather conditions are ideal for growth and do not change much from year to year. In savannahs it is different. As productivity increases there is room to fit in more trees whose growing biomass provides a sink, or store, for carbon sequestered from the atmosphere. In addition, savannahs spring to life in wetter years, causing large fluctuations in carbon dioxide uptake between wet and dry years. Large enough, Ahlström and colleagues show, to control the amount of carbon dioxide in the atmosphere. “There has been an increase in the uptake of carbon dioxide over time, and land ecosystems have together absorbed almost one third of all carbon dioxide emissions from human activity since the 1960s. What is perhaps even more surprising is that this trend is also dominated by the semi-arid lands,” Anders Ahlström says. We have long known that we need to protect the rainforests but, with this study, the researchers show that a heightened effort is needed to manage and protect the semi-arid regions of the world as well…. Small soil animals can limit the effects of climate change, a team of researchers has shown through a long-term study. In the same way that Yellowstone’s wolves regulate plant diversity by controlling the number of grazing elk, the researchers found that insects, worms and other small creatures can play a similar regulatory role in soil ecosystems by feeding on the microbes that can trigger increased carbon emissions. In a long-term study, researchers showed that small soil animals can limit the effects of climate change, which would otherwise stimulate the loss of carbon from the soil into the atmosphere. The study provides key new insights into how the interactions between organisms in the soil are likely to be critical for controlling the changes in carbon cycling under current and future climate scenarios. The results were published in the Proceedings of the National Academy of Sciences. Decomposition of dead plant and animal material by soil microorganisms generates an annual global release of 50 to 75 petagrams of carbon — in the form of carbon dioxide and methane — into the atmosphere (1 petagram equals 1 billion metric tons). This amounts to almost ten times the greenhouse gas production of humans worldwide. Scientists have known for a long time that warming has the potential to accelerate this process, leading to increased carbon emissions that will accelerate climate change through a dangerous feedback cycle. However, until now, little has been known about which ecosystems will be most affected and why. The study — an international collaboration between researchers at the Yale School of Forestry & Environmental Studies (F&ES), the University of Helsinki, the Institute of Microbiology of the ASCR in the Czech Republic, and the University of New Hampshire — was designed to shed light on this issue. “In disturbed environments, where soil animals are not present, the feedback between climate change and microbial carbon production was strong,” said Thomas Crowther, a postdoctoral fellow at Yale F&ES and lead author of the study. “Meanwhile, when the soil community is healthy and diverse, we saw that animals feed on the microorganisms, limiting the feedback effects.”…. Crowther said. “As a result of climate change, there’s going to be more nitrogen deposition, it’s going to be warmer — many of the things that limit fungal growth are going to be alleviated,” he said. “And by stimulating microbial activity it will trigger higher carbon emissions. So when those ‘bottom up’ limitations are gone, the grazing animals become even more important.”… “Our current understanding of carbon cycle feedbacks to climate change stem mostly from the physical sciences; this study shows that precise global predictions can be achieved only if we understand the interactions between organisms,” he said. Scientists on Thursday unveiled the most comprehensive analysis ever undertaken of the world’s ocean plankton, the tiny organisms that serve as food for marine creatures such as the blue whale, but also provide half the oxygen we breathe. The researchers spent 3-1/2 years aboard the schooner Tara, taking 35,000 samples of plankton from 210 sites globally, determining the distribution of the organisms, tracking how they interact with one another and carrying out genetic analyses. The scientists conducted the largest DNA sequencing effort ever done in ocean science, pinpointing around 40 million plankton genes, most previously unknown. Much of the plankton was more genetically diverse than previously known. However, the genetic diversity of marine viruses was much lower than anticipated. By removing carbon dioxide from the atmosphere and converting it into organic carbon via photosynthesis, plankton provide a buffer against the increased carbon dioxide being generated by the burning of fossil fuels, Bowler said…. Beginning on May 11, Forest Service scientists will plant different combinations of tree and shrub species in four riparian areas on the Finger Lakes National Forest in New York and monitor the success of these different treatments for improving carbon and nitrogen ratios in the soil as well as plant, insect and wildlife biodiversity. Another purpose of the research is to evaluate whether degraded stream corridors are suitable habitats for reintroduction of a forest icon, the American elm…. Noise from pile driving during offshore wind turbine construction could be damaging the hearing of harbour seals around the UK, researchers have found. They say more research is needed on how noise affects marine mammals’ hearing and into engineering solutions to reduce noise levels. The study is published today in the British Ecological Society’s Journal of Applied Ecology. There are currently 1,184 offshore wind turbines around the coast of the UK, between them generating around 4GW of power. The next round of construction, which began in 2014, will see hundreds more turbines installed to generate a further 31GW, yet we know little about the impact of construction noise on sea mammals’ hearing…..
points out soon there could be more than a million drone flights over the United States every day as retailers figure out how to utilize the technology. (Gryzzlbox anybody?) There’s no guarantee that all drone operators will be respectful of the animals in the sky. The National Park Service already has a ban in place forbidding the use of drones over national park land, citing in part, the safety and comfort of wildlife. Wetlands created 20 years ago between tile-drained agricultural fields and the Embarras River were recently revisited for a new two-year research project. Results show an overall 62 percent nitrate removal rate and little emission of nitrous oxide, a potent greenhouse gas. A cartwheeling spider, a bird-like dinosaur and a fish that wriggles around on the sea floor to create a circular nesting site are among the species identified as the Top 10 New Species for 2015. Two animals — a frog that gives birth to tadpoles and a wasp that uses dead ants to protect its nest — are unusual because of their parenting practices. Also on the list are an animal that might surpass the new species distinction to be an entirely new phylum, a 9-inch walking stick and a photogenic sea slug. Rounding out the top 10 are a coral plant described as endangered almost as soon as it was discovered and a red-and-green plant used during Christmas celebrations in Mexico. Projects that stimulate sustainable fishing in developing countries often get no further than good intentions. Thus, some of the imported fish sold in European and North American shops may be less sustainably caught than claims suggest. To prevent the MSC quality label for sustainable fish catches being undermined, the requirements for market access should be made more exacting, argue experts. In a study that compared three sites within the Dja Conservation Complex in Cameroon, Africa, investigators found that the presence of a conservation research project acts as a deterrent to chimpanzee and gorilla poachers, and community awareness and involvement in research lead to an increased value of apes and intact forests to local people, thus limiting hunting practices. The results provide evidence that the mere existence of research programs exerts a positive impact on the conservation of wildlife in their natural habitats. The annual contribution of seven ecosystem services to the economy of Limburg, the southernmost province of the Netherlands, can be estimated at around €112 million. This was the conclusion of a study conducted by Roy Remme, Matthias Schröter and Lars Hein of Wageningen University, in collaboration with Bram Edens. The aim of the study was to develop knowledge about the monetary contribution of ecosystems to the regional economy. The study has been published in the journal Ecological Economics. … The researchers modelled and valued seven ecosystem services: crop production, fodder production, drinking water production, air quality regulation, carbon sequestration, nature tourism and hunting… The study provides insight into the valuation methods that can be used for ecosystem accounting. Monetary valuation for ecosystem accounting takes into account economic production and consumption; it therefore differs from a welfare-based valuation approach, which also accounts for the values that people assign to certain services. Moreover, some ecosystem services, such as experiential value, are still difficult to value in ecosystem accounting. The outcome of the study should therefore not be interpreted as the total monetary value of ecosystem services in Limburg province. The study signals that investments are required to collect the ecosystem service data that is used to develop monetary accounts for all ecosystem services. In combination with physical accounting, monetary accounting can provide a good picture of the contribution of ecosystems to economic activities, and how changes in ecosystems will affect the economy. Ecosystem accounting can provide relevant information for policy-makers in land-use planning and spatial planning. It can also act as an early warning system to signal the loss of ecosystem services and their possible consequences. Global temperatures in April vs. 1951-1980 average. Via NASA. It’s increasingly likely that 2015 will be the hottest year on record, possibly by a wide margin. NASA reported Wednesday that this was the hottest four-month start (January to April) of any year on record. This was also the second-warmest April on record in NASA’s dataset. The National Oceanic and Atmospheric Administration (NOAA) has just predicted a 90 percent chance that the El Niño it declared in March will last through the summer and “a greater than 80 percent chance it will last through 2015.” El Niños generally lead to global temperature records, as the short-term El Niño warming adds to the underlying long-term global warming trend. And in fact, with April, we have once again broken the record for the hottest 12 months on record: May 2014 – April 2015. The previous record was April 2014 – March 2015, set last month. The record before that was March 2014 – February 2015. And the equally short-lived record before that was February 2014 – January 2015. As we keep breaking records in 2015, our headlines are going to sound like a … broken record. May has already started out hot, and it is quite likely next month we will report “The Hottest 5-Month Start Of Any Year On Record,” and that June 2014 – May 2015 will become hottest 12 months on record. This chart uses a 12-month moving average, so we can “see the march of temperature change over time,” rather than just once every calendar year, as science writer Greg Laden puts it. The global warming trend that made 2014 the hottest calendar year on record is continuing. Some climate scientists have said it’s likely we’re witnessing the start of the long-awaited jump in global temperatures — a jump that could be as much as as 0.5°F. April was warm across the country and most of the world. That’s clear in the NASA global map below for April temperatures, whose upper range extends to 6.9°C (12.4°F) above the 1951-1980 average. Once again, it was quite warm last month in Siberia, where the permafrost is fast becoming the perma-melt. The permafrost contains twice as much carbon as is currently in the entire atmosphere. The faster it turns into a significant source of carbon dioxide and methane emissions, the more humanity will be penalized for delaying climate action. The defrosting may add as much as 1.5°F to total global warming by 2100 — something that is not factored into any current climate models. April capped a 12-month period that tied the warmest such stretch on record, according to data released Tuesday. That period, going back to May 2014, tied the previous record holder, the 12 months from April 2014 to March 2015. Of the 10 warmest 12-month periods on record, nine occurred in the past two years, most of them in back-to-back stretches. The clustering of such warm periods is a marker of how much global temperatures have risen thanks to the human-driven buildup of heat-trapping gases in the Earth’s atmosphere. 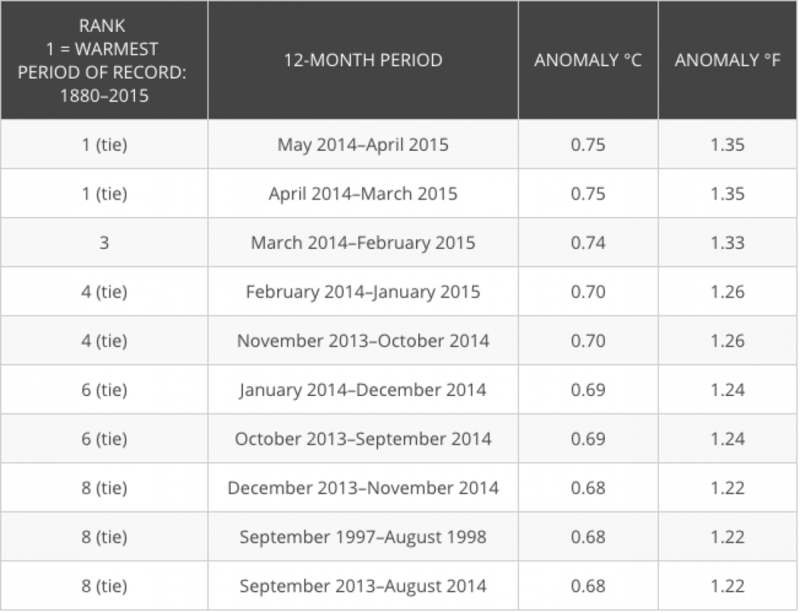 April’s heat also ensured that 2015 is still the warmest year-to-date on record. And with a healthy looking El Nino that could further intensify in the coming months, the chances that the year as a whole could best last year’s record-breaking temperature are boosted. Data released Tuesday by the National Oceanic and Atmospheric Administration (NOAA) ranked this April as the fourth-warmest April in the past 136 years, with an average global temperature 1.33°F above the 20th century average. NASA’s similar database put the month tied for the third-warmest April; each agency treats global temperature data in slightly different ways, creating small differences, but overall broad agreement. The reason April dipped slightly in the monthly rankings compared to the winter months, which all ranked as the warmest or second warmest such months, is because of cooler land surface temperatures, Jessica Blunden, a climate scientist with ERT, Inc., at the NOAA’s National Center for Environmental Information, said. In Australia, for example, a March that ranked as the eighth warmest was followed by an April that was 88th warmest. 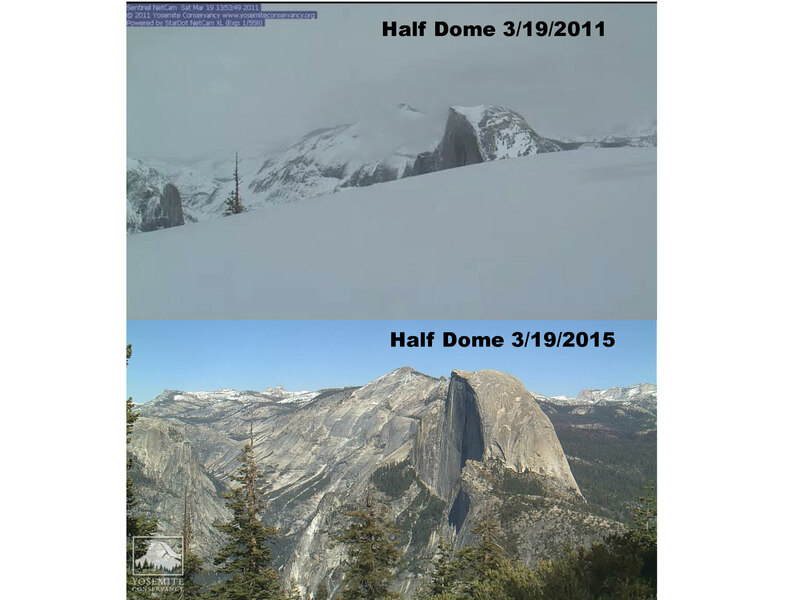 “While there were a lot of warm areas, we didn’t see as much widespread record warmth,” Blunden said in an email…. Scientists have pinpointed the climate pattern that likely sets the stage for boreal bird irruptions in which vast numbers of northern birds migrate far south of their usual winter range. The discovery could make it possible to predict the events more than a year in advance. … The researchers found that persistent shifts in rainfall and temperature drive boom-and-bust cycles in forest seed production, which in turn drive the mass migrations of pine siskins, the most widespread and visible of the irruptive migrants. “It’s a chain reaction from climate to seeds to birds,” says atmospheric scientist Court Strong, an assistant professor at the University of Utah and lead author of the study. Many seed-eating boreal species are subject to irruptions, including Bohemian and cedar waxwings, boreal chickadees, red and white-winged crossbills, purple finches, pine and evening grosbeaks, red-breasted nuthatches, and common and hoary redpolls. The authors focused on the pine siskin, a species featured prominently in earlier work on irruptive migrations….To resolve the question, the scientists turned to a remarkable trove of data gathered by backyard birders as part of Project FeederWatch, a citizen science initiative run by the Cornell Lab of Ornithology. FeederWatcher volunteers systematically record bird sightings from November through early April and they gave the scientists more than two million observations of pine siskins since 1989. The crowd-sourced data makes it possible to track the movement of bird populations at a continent-wide scale. “…..
As expected, they found that extremely cold winters tend to drive birds south during the irruption year. More surprisingly, the researchers found a teeter-tottering pattern between the north and south that influences bird migrations two to three years later. When the prevailing weather is wet and cold and unfavorable to seed production in one region, it tends to be warmer and drier and favorable to seed production in the other region. This climate “dipole” tends to push and pull bird migrations across the continent. An Antarctic ice shelf roughly half the size of Rhode Island will disintegrate completely within the next few years, according to a NASA study released Thursday. In 2002, two-thirds of the Larsen B Ice Shelf — which had been intact for more than 10,000 years — broke up in less than six weeks. The remaining portion of the ice shelf covers about 625 square miles along the Antarctic Peninsula, extending toward the southern tip of South America. Using data collected from airborne surveys and radar, a team led by Ala Khazendar at NASA’s Jet Propulsion Laboratory (JPL) in Pasadena, California, found that the remaining portion of Larsen B is weakening very quickly, which is causing the shelf to become increasingly fragmented. Two of its tributary glaciers are also flowing faster and thinning more rapidly, according to NASA. Scientists have observed a sudden increase of ice loss in a previously stable region of Antarctica. The ice loss in the region is so large that it causes small changes in the gravity field of the Earth. A new study finds that processes related to global warming are weakening several Antarctic ice shelves surprisingly quickly – causing glaciers to lose large amounts of ice. A new study applies a well-established principle of fluid flow to identify which types of trees could be winners and losers as global warming progresses. As global warming progresses, look for increasing expanses of majestic forests worldwide to become short and scrubby. That is the implication of a new study that applies a well-established principle of fluid flow to the inner workings of vegetation. The analysis doesn’t attempt to specify timing or specific locations where such shifts in vegetation would occur. Instead, it uses the principle known as Darcy’s law to explore the general types of vegetation most likely and least likely to survive rising temperatures and extreme drought. Among the most vulnerable types of trees, the study finds, are conifers around the world, particularly the tallest specimens in old-growth forests. Their loss would have “ominous implications” for the natural carbon storage that these forests perform, the study suggests…. Manú National Park in Peru, where research on warming’s impact on tropical birds is taking place. Scientists have theorized that tropical birds in mountainous regions will move uphill as the climate warms. But new research in the Peruvian Andes suggests that the birds will stay put and face a new threat — predator snakes that will climb into their territory to escape the heat. A new study, just published in Environmental Research Letters by Steven Sherwood and Nidhi Nashant, has answered a number of questions about the rate at which the Earth is warming. Once again, the mainstream science regarding warming of the atmosphere is shown to be correct. This new study also helps to answer a debate amongst a number of scientists about temperature variations throughout different parts of the atmosphere. When someone says “The Earth is warming”, the first questions to ask are (1) what parts of the Earth? and (2) over what time period? The Earth’s climate system is large; it includes oceans, the atmosphere, land surface, ice areas, etc. When scientists use the phrase “global warming” they are often talking about increases to the amount of energy stored in oceans or increases to the temperature of the atmosphere closest to the ground. By either of these measures, climate change has led to a progressive increase in temperatures over the past four decades. But what about other parts of the climate system? What is happening to them? One important area to consider is the troposphere. It is the bottom portion of the atmosphere where most weather occurs. ….The authors develop a new method to account for natural variability, long-term trends, and instruments in the temperature measurement. They make three conclusions. First, warming of the atmosphere in the tropical regions of the globe hasn’t changed much since the late 1950s. Temperatures have increased smoothly and follow what is called the moist-adiabatic rate (temperature decrease of humid air with elevation). This result is in very close agreement with climate computer models and it contradicts the view that there is a slowdown in climate change. Second, the vertical height of the tropics that has warmed is a bit smaller than the models predict. Finally, there is a change in observed cooling in the stratosphere – the layer of the atmosphere above the troposphere. Taken together, these results show that the tropospheric warming has continued as predicted by scientists years ago. Embedded in this research is a conclusion about the so-called “tropospheric hot spot“. This “hot spot” refers to expectations that as global warming progresses, the troposphere will warm faster than the Earth surface. The hot spot is really hard to detect; it requires high quality measurements at both the surface and throughout the troposphere. Past studies which could not detect a hot spot were often used by climate contrarians to call into question our simulation models and even our basic understanding of the atmosphere. But this new study finds a clear signal of the hotspot. In fact, the temperature in the troposphere is rising roughly 80% faster than the temperature at the Earth’s surface (within the tropics region). This finding agrees very well with climate models which predicted a 64% difference…..
River transport of carbon to the ocean is not on a scale that will solve our carbon dioxide problem, but we haven’t known how much carbon the world’s rivers routinely flush into the ocean, until now. Scientists calculated the first direct estimate of how much and in what form organic carbon is exported by rivers. The estimate will help modelers predict how this export may shift as Earth’s climate changes. The parallel trends of rising human population and declining forage fish such as herring and smelt indicate that human influences such as pollution and development may be eroding species that long dominated Puget Sound. In particular, the rise of jellyfish blooms may divert energy away from highly-productive forage species that provide food for larger fish and predators such as salmon, seabirds and marine mammals. 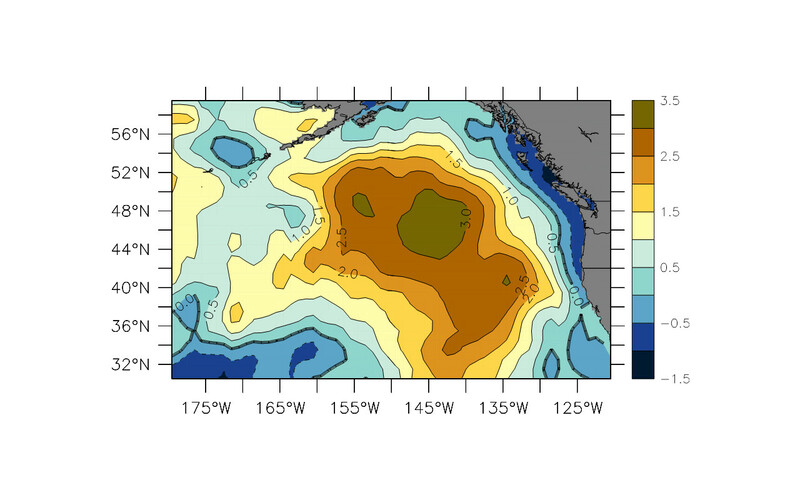 The research by scientists from NOAA Fisheries’ Northwest Fisheries Science Center, the University of Washington and the Washington Department of Fish and Wildlife was published in April in Marine Ecology Progress Series. “On land people see the changes that come with human population increases, but underwater the changes are much harder to discern,” said Correigh Greene, a research fisheries biologist at NWFSC and lead author of the new research. “What this tells us is that when you look over time, you can see that the underwater landscape of Puget Sound is changing too.”… Harvest of forage fish may open new opportunities for jellyfish by reducing competition from other species and human-driven changes in habitat may reduce the productivity of forage fish, scientists suggest. Polluted runoff may also shift prey towards types that jellyfish favor. The research may also help resolve the mystery of why juvenile salmon survival has declined sharply in Puget Sound. While forage fish may compete with salmon in some circumstances, they also serve as prey for salmon and can help absorb some pressure from predators such as seals that might otherwise consume young salmon. The parallel declines of forage fish and juvenile salmon survival suggests the loss of forage fish may also affect salmon…. Sea ice around Antarctica is currently at record levels for May, part of a trend of increasing ice around the frozen continent making it harder to resupply and refuel research stations. More than 50 scientists are gathering in Hobart in Tasmania this week for a series of workshops on techniques to more accurately forecast sea ice levels in the polar region, aiming to save millions of dollars in shipping costs. They will also hope to avoid a repeat of the problems suffered by the Akademik Shokalskiy, the research vessel caught in a sudden freeze in December 2013. Rod Wooding, from the Australian Antarctic Division, said last year ships “couldn’t get anywhere near” the Australian research site, Mawson station, requiring a year’s worth of supplies and fuel to be flown in by helicopter. “[That] is inadequate for the long-term sustainability of the station,” Wooding said. “Other national programs have had similar problems, the French in particular, the Japanese also.” Scientists were initially puzzled by the increasing sea ice around the continent, which reached record levels in September 2014, but have concluded it is “very largely driven by changes in wind”, Tony Worby, the chief executive of the Antarctic Climate and Ecosystems Cooperative Research Centre said. “Those changes of wind are driven by the depletion of ozone in the stratosphere and the increasing greenhouse gas in the atmosphere. The El Nino phenomenon, too, “drives changes in pressure which drives changes in wind which drives changes in sea ice”, he said. Antarctica is also surrounded by ocean, leaving sea ice “completely free to expand however it wants to”, in contrast to the Arctic region, which is landlocked by Russia, Greenland and northern Canada. Australia is tendering to replace its icebreaking vessel, the 25-year-old Aurora Australis. Worby said more accurate forecasts would help to understand what level of “ice breaking capability” would be needed in the future. “It’s quite hard to forecast but whatever effort we put in to improving our ability to forecast sea ice will ultimately pay dividends in terms of savings for national programs,” he said. The workshops will continue until Wednesday. WASHINGTON (AP) — The combination of global warming and shifting population means that by mid-century, there will be a huge increase in the number of Americans sweating through days that are extremely hot, a new study says. People are migrating into areas — especially in the South — where the heat is likely to increase more, said the authors of a study published Monday by the journal Nature Climate Change. The study highlighted the Houston-Dallas-San Antonio and Atlanta-Charlotte-Raleigh corridors as the places where the double whammy looks to be the biggest. “It’s not just the climate that is changing in the future,” said study co-author Linda Mearns, a senior scientist at the National Center for Atmospheric Research in Boulder, Colorado. “It is many things: how many people and where people are that affects their exposure to climate changes.” In a unique study looking at the interplay of projected changes in climate and population, scientists tried to characterize the number of people who will feel temperatures of 95 degrees or higher and how often they will feel it. They used a figure called person days for the extreme heat to reflect both the length of time heat waves continued and how many people felt it by multiplying people affected by how many days they felt the heat. Between 1970 and 2000, the U.S. averaged about 2.3 billion person days of extreme heat each year. But between 2040 and 2070 that number will be between 10 and 14 billion person days a year, according to the study. The biggest projected increases in person days is the Texas, Oklahoma, Louisiana, Arkansas census region where by mid-century heat exposure will increase by 2.7 billion person days. Right behind is south Atlantic region of Florida, Georgia, South Carolina, North Carolina, Virginia, West Virginia, Maryland, Delaware and Washington, D.C., where heat exposure is projected to increase by 2.2 billion person days. New England gets off the easiest with an increase of only 71 million person days. The scientists used 11 different climate models based on current trends of heat-trapping carbon dioxide emissions and matched those with demographic trends. Both the increased heat and population shifts had about equal effects but together they made matters even worse, said lead author Bryan Jones, a population geographer at the City University of New York. The question is, will be people adapt by changing their lifestyle, such as staying indoors and using more air conditioning, or will they move to cooler climates. Jones said it is unlikely that people will move to cooler areas to escape the heat, saying historically people tend to move away from colder areas and into warmer areas like Florida, Arizona and North Carolina. The scientists chose a threshold of 95 degrees because “at 95 people really, really start feeling it,” Mearns said. “Even in a dry climate and I’m sitting here in Boulder, Colorado.” Several outside scientists praised the study. University of Georgia meteorology professor Marshall Shepherd said the problem is likely even worse when you take into consideration the fact that cities get hotter than rural areas. Message 1: “Parties to the Convention agreed on an upper limit for global warming of 2°C, and science has provided a wealth of information to support the use of that goal.” Incorporating concerns about ocean acidification and sea level rise, “only reinforces the basic finding emerging from the analysis of the temperature limit, namely that we need to take urgent and strong action to reduce GHG emissions” (emphasis in original). Again, no one is saying it would be easy, but it is straightforward, and the literature couldn’t be clearer on how low-cost it is…Geden asserts, “The climate policy mantra — that time is running out for 2 °C but we can still make it if we act now — is a scientific nonsense.” Even Roberts points out, “No. It may be a nonsense, but it’s not a scientific nonsense. No branch of science, certainly not climatology, can tell us what the humans of 2050 are capable of.” Almost. Thank goodness these pundits weren’t around when we had to do something really difficult, like suffer millions of casualties and remake our entire economy almost overnight to win World War II…. …There are, however, two specific and synergistic reasons why scientists became increasingly concerned during the 2000s. First, in that decade, Chinese emissions soared, taking us off of more moderate pathways that scientists had been anticipating. …Second, at the very end of the 2000s, the world community finally settled on 2°C as the threshold for dangerous warming, which meant CO2 levels in the air needed to be stabilized below 450 parts per million. That consensus, as many; have explained, solidified with the IPCC’s 2007 Fourth Assessment Report. That’s why, for instance, in 2004, when Princeton Professors published a landmark paper in Science, “Stabilization Wedges: Solving the Climate Problem for the Next 50 Years with Current Technologies,” they wrote: “Proposals to limit atmospheric CO2 to a concentration that would prevent most damaging climate change have focused on a goal of 500 +/- 50 parts per million (ppm).” So it was only around late 2007 that people paying very close attention, like climate scientists, could see that 1) emissions were veering onto a worse case scenario track 2) just as a scientific and political consensus was forming around the need to set the bar at 2°C, which was now starting to look like a best-case scenario. That’s why in 2010, a previously reticent Lonnie Thompson explained why previously reticent climatologists had begun speaking out: “Virtually all of us are now convinced that global warming poses a clear and present danger to civilization.” It’s why, when I launched Climate Progress nine years ago, I created a category called “uncharacteristically blunt scientists.”…. (misleading) headline captured the urgency: “World headed for irreversible climate change in five years, IEA warns … If fossil fuel infrastructure is not rapidly changed, the world will ‘lose for ever’ the chance to avoid dangerous climate change. Half right. Yes, rapid change is needed. But the IEA did not say the climate change would be irreversible in five years. They wrote: If internationally co-ordinated action is not taken by 2017, we project that all permissible emissions in the 450 Scenario would come from the infrastructure then existing, so that all new infrastructure from then until 2035 would need to be zero-carbon, unless emitting infrastructure is retired before the end of its economic lifetime to make headroom for new investment. This would theoretically be possible at very high cost, but is probably not practicable politically…. Active misinformation campaigns by those seeking to oppose or delay climate policy has created a persistent “consensus gap.” In 2004, science historian Naomi Oreskes published a short paper in the journal Science concluding there was an overwhelming consensus in the scientific literature that global warming was caused by humans. After the paper’s release, there was some unexpectedly hostile reaction. This prompted Oreskes and her colleague Erik Conway to go even deeper with their research, leading to the publication of the book Merchants of Doubt. It documents how a small group of scientists with links to industry were able to sow doubt about the scientific consensus and delay effective policy on DDT, tobacco, acid rain and, now, global warming. Fast forward to two years ago: a team of volunteer researchers (myself included) associated with the website Skeptical Science decide to update and extend Oreskes’ research. Led by University of Queensland researcher John Cook, we analyzed the abstracts of about 12,000 scientific papers extracted from a large database of articles, using the search terms “global warming” and “global climate change.” The articles had been published over a 21-year period, from 1991 to 2011. As an independent check on our results, we also sent emails to the more than 8,500 scientist authors of these articles. (These were the scientists whose e-mail addresses we were able to track down). We asked them to rate their own papers for endorsement or rejection of man-made global warming. Both approaches yielded a very similar result: 97 per cent of the scientific literature that expresses an opinion on climate change endorses the expert consensus view that it is man-made. The results were published in May 2013 in the journal Environmental Research Letters…. California regulators have accepted a historic offer by farmers to make a 25% voluntary water cut to avoid deeper mandatory losses during the drought. Officials with the state water resources control board made the announcement on Friday involving farmers in the delta of the Sacramento and San Joaquin rivers who hold some of California’s strongest water rights. The several hundred farmers made the offer after state officials warned they were days away from ordering some of the first cuts in more than 30 years to the senior water rights holders. California water law is built around preserving the water claims of those rights holders. The threat of state cuts is a sign of the worsening impacts of the four-year drought. The state already has mandated 25% conservation by cities and towns and curtailed water deliveries to many farmers and communities. Justin Sullivan—Getty Images A sign referencing the drought is posted on the side of the road on April 24, 2015 in Firebaugh, California. The Western Governors Association (WGA), established in 1984, represents the governors of 19 western states and the U.S. flag islands. The WGA works to develop and promote consensus-based policy solutions, to exchange information and identify best practices, to collect data and perform quality research, and to educate the public and other policy makers. Alan Hook began by presenting a map of the Santa Fe watershed. “We are in the Rio Grande basin,” he said. “The Santa Fe River itself starts in the headwaters, about 11,500 feet in the Sangre de Cristo Mountains. The Santa Fe River runs through the city of Santa Fe and heads west, and then meets up with the Rio Grande.” ….The Santa Fe Municipal Watershed Plan has four main components: Vegetation management, water management, outreach and education, and financial management. “The unique thing of our watershed management plan is the Santa Fe National Forest basically has a 50/50 cost share collection agreement which really allows us a lot of flexibility on treatments, both thinning and prescribed burn at different times of the year, so if the funds are not available from the forest service, we the City match those funds,” Mr. Hook said. “The ongoing project costs are paid for by our water utility customers within their utility bill for each month, because the community felt like they would be the beneficiaries of this plan.” The City of Santa Fe has dedicated about $5 million in our budget for the next 20 years, he said. “Over 5000 acres have been treated since 2002, and we hope to be continuing the treatments into the future with the commitment of the public and our water rate payers,” he said. “We’ve also started an Environmental Assessment into the wilderness area. We’re looking at some of the treatments to mitigate wildfire from having effects on our two reservoirs within our municipal watershed. That would be in the Pecos Wilderness Area, which again, wilderness area, you can’t do mechanical thinning, there’s a different set of rules, but we’ve started the EA process on that…..”Just to emphasize, the watershed management program is unique because it includes our utility ratepayers and it’s also a collaborative effort between the forest service, the city of Santa Fe, both our water division and fire department,” he said. “The Nature Conservancy was the group really spearheading this effort, and again the Santa Fe Watershed Association on a lot of our outreach and education.”…. …. “The City of Ashland, the Nature Conservancy, the US Forest Service, and the Lomakatski Restoration Project, all non-profit groups under the stewardship authority, came together and identified roles to implement the project,” Mr. Boucher said. “The Forest Service came with the funding and the oversight of the project. The City of Ashland had done some work on the lands and had technical expertise to offer; a huge part of their effort revolved around the community engagement, going out and speaking with the community and getting feedback. The Nature Conservancy is responsible for the multi-party aspect of it, and so they put together all the interested stakeholders and developed a very rigorous monitoring plan which has been implemented over the first five years of the project, and has been really able to help us tell the story of how we’re changing the fuel profile,” Mr. Boucher said. “The Lomakatsi Restoration Project is a non-profit stewardship group that brought the contracting and workforce element to the partnership.” In order to engage the community, they have had over 50 either events, tours, and field trips; there is a website and a Facebook page for folks to provide comments; and volunteer group put up some interpretive signs, he said. 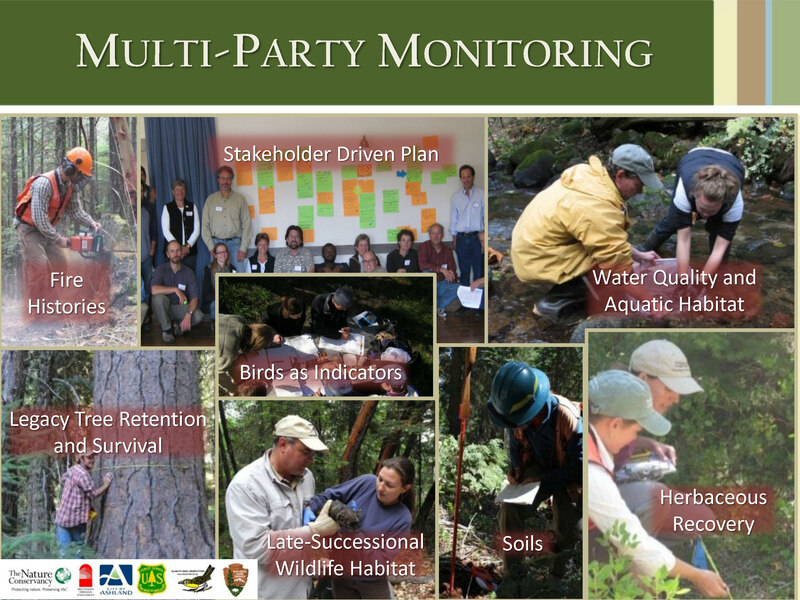 Mr. Boucher said that the multi-party monitoring plan was stakeholder driven. “In other words, we asked folks, what is it that we need to know about the treatment, and the result has collected a large amount of information so far that is continuing,” he said. “We have been in this project for five years now, it’s a partnership, we have another five to go and we’re working to get more funding for that to accomplish additional work. The monitoring and the community engagement have created a key role in that.” He said that over the last two years, the city has contributed $350,000 for work on forest service land, in addition to providing city employees to help with the project. …Probably the biggest issue that we face right now is the ability to use prescribed fire, it’s very limited windows for burning, and a lot of area that we would like to implement fire on,” he said…. A branch of the U.S. Department of Agriculture will provide $21 million to help farmers and ranchers in California and other states install new irrigation systems, plant cover crops and implement other water conservation practices, officials said Monday. The funds, made possible by the 2014 farm bill, will be distributed to the most severely drought-stricken areas of eight states, as determined by the U.S. Drought Monitor. It is not clear how much of the money will go to California, but in a call with reporters, Agriculture Secretary Tom Vilsack said the state has already received more than $27 million from the Natural Resources Conservation Service for drought management practices this fiscal year. Between 2012 and 2014, the service spent more than $1.5 billion to help farmers implement conservation practices, officials said. The latest funding is meant to help farmers and ranchers launch projects that can increase irrigation efficiency, improve soil health and productivity and ensure reliable water sources for livestock, officials said. “We’re very anxious to get this money deployed and out this summer,” said Natural Resources Conservation Service chief Jason Weller. The $21 million, which will be shared by parts of California, Kansas, Idaho, Nevada, Oklahoma, Oregon, Texas and Utah, is a fraction of the state money proposed by Gov. Jerry Brown in his May budget revision. Brown called for $75 million for financial incentives to get farmers to invest in more efficient irrigation techniques. Photo: Michael Macor, The Chronicle Shara Fish of Mount Shasta carries bottles filled with spring water from the headwaters of the Sacramento River in Mount Shasta, Calif., on Tues. April 28, 2015. Crystal Geyser is opening a bottling plant nearby without any environmental review or limits at a time when everyone else in the state is being asked to drastically cut water use. California’s non-existent laws on groundwater use allow this. What would it take to limit climate change to 1.5°C by 2100? A new study analyzes the required climate policy actions and targets in order to limit future global temperature rise to less than 1.5 degrees Celsius by 2100. This level is supported by more than 100 countries worldwide, including those most vulnerable to climate change, as a safer goal than the currently agreed international aim of 2 degrees Celsius — an aim which would already imply substantial greenhouse-gas reductions. Hence the interest for scrutinizing the very low end of greenhouse-gas stabilization scenarios. MANHATTAN — City schools will begin to phase out Styrofoam lunch trays this month in favor of eco-friendly compostable ones, the Department of Education is expected to announce Wednesday. All schools are expected to have the new trays for 850,000 daily meals by September, according to a newsletter from GrowNYC, which runs city greenmarkets and does outreach to schools about the city’s compost program. In making the switch, environmental advocates hope it will not only be healthier for the city’s more than 1 million public school students — since polystyrene used in foam trays is listed as a “possible” human carcinogen by the Environmental Protection Agency — but also cut down on trash that gets sent to landfills. More than 700 city schools — including all in Manhattan and Staten Island — now participate in the city’s organics collection program for food scraps and other materials that can be turned into compost or processed into natural gas. But when the Department of Sanitation audited the 358 schools that participated during the 2013 school year, it found that contamination — when the “wrong” material ends up in the organics bin, such as foam trays, plastic containers, cutlery and plastic packaging — was significantly higher than expected, according to a January 2015 report. … “It’s really gigantic that New York City is doing this,” said public school mom Debby Lee Cohen, who co-founded Cafeteria Culture, which is piloting a program to improve school participation in the composting program. Cohen wants to make sure students, teachers, administrators and custodians understand why schools are making the switch. Cafeteria signs about what to sort is insufficient without classroom education on why kids are sorting, she said. Across the country, more than 100 jurisdictions – including New York City, San Francisco, and Washington, D.C. – have enacted bans on polystyrene foam of one sort or another. And NRDC has played a leading role in New York to bring about this change–read more from my colleague Eric Goldstein about this ban here and here. And so have many tireless advocates across the country, including our friends at Cafeteria Culture here in New York. Today, these dreaded plastic foam containers suffered another blow when six of the nation’s largest school districts – with assistance from NRDC – announced they will be ditching the annual use of 225 million polystyrene trays in their cafeterias and replacing them with eco-friendly compostable plates. My colleague, Mark Izeman wrote more about the exciting announcement and the good work the schools are doing here but I want to focus more on the environmental significance of this decision. In short, today’s announcement by the Urban School Food Alliance – which including NYC, LA, Miami, Orlando, Dallas and Chicago – to introduce compostable plates is forward-thinking for at least three big reasons…. First, polystyrene is an environmental and solid waste burden…. Third, by using a compostable plate, schools and cities can make significant process in beginning to divert food waste and organics from landfills…..
Food waste constitutes almost one-third of the general waste stream – and up to 40% in schools. For this reason, more and more jurisdictions -including Massachusetts, Connecticut, Vermont and New York City – are imposing bans on the disposal of organic material in landfills to lower solid waste costs and reduce landfill-generated greenhouse gas emissions. ….By using plates for composting instead of throwing them away, schools not only reduce the amount of waste to be landfilled, they also contribute to the creation of valuable compost that can be used on farms and for landscaping. We salute these leading cities from serving up these new environmentally preferable plates – and joining a national movement toward composting and reuse of valuable food waste. Picture this: a group of firefighters, wildlife staff, operations directors and park managers take three hours away from their day job to consider their day job fifty years from now. Led by the Bay Area Ecosystem Climate Change Collaborative (BAECCC) and the Bay Area Open Space Council, this was the scene earlier this spring at the East Bay Regional Park District Board room…. The picture shows the power of a team engaged in a scenario planning exercise with the Park District’s Fuels Management team. We asked: “What can we learn about fire management, eucalyptus trees, and habitat succession in the context of a changing climate? 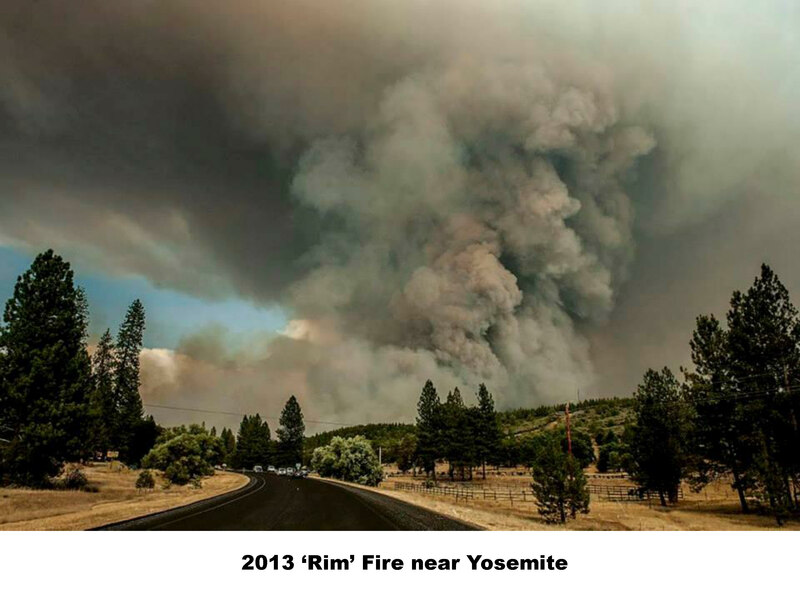 Will the areas of highest fire risk change? What will vegetation succession look like if it is hotter and there is more rainfall, or hotter and less rainfall?” It turns out that while the future is uncertain, there are certain actions that make a difference in preparing: We used data from the Park District, from the Terrestrial Biodiversity and Climate Change Collaborative, Point Blue Conservation Science and the research of UC Berkeley Professor David Ackerly, to describe what the East Bay ridge might look like 50 years from now. What is the future for Oak Woodlands? What is the likelihood of fire regimes changing? The California State Wildlife Action Plan 2015 Update (SWAP 2015) Draft has been released for public review, and four public meetings to announce the draft release have been arranged. California’s distinctive topography and climate have given rise to a remarkable diversity of habitats that support a multitude of plant and animal species. In fact, California has more species than any other state in the U.S. and also has the greatest number of species that occur nowhere else in the world. Many of the places where wildlife thrive are the same as those valued for recreation and other human activities. To ensure a sustainable future for wildlife – and the enjoyment of wildlife by generations to come – there is a need for a collaborative approach to conservation. The State Wildlife Action Plan examines the health of wildlife and prescribes actions to conserve wildlife and vital habitat before they become more rare and more costly to protect. The plan also promotes wildlife conservation while furthering responsible development and addressing the needs of a growing human population. WASHINGTON — President Obama will use a commencement address at the Coast Guard Academy in Connecticut on Wednesday to cast his push for urgent action to combat climate change as a national security imperative, arguing that the warming of the planet poses an “immediate risk” to the United States. The speech is part of an effort by Mr. Obama to make a multipronged case for his ambitious climate-change agenda, which he identifies as a top priority for the remainder of his time in office and regards as a central element of his legacy. Instead of promoting his plan strictly in environmental terms, he has pitched it as beneficial for the economy and vital to the nation’s security. “I am here today to say that climate change constitutes a serious threat to global security, an immediate risk to our national security, and, make no mistake, it will impact how our military defends our country,” Mr. Obama will tell the graduating cadets, according to excerpts from his speech distributed by the White House. “And so we need to act, and we need to act now.” In March, Mr. Obama unveiled a blueprint for cutting greenhouse gas emissions in the United States by up to 28 percent from 2005 levels over the next decade. The plan, which hinges on new Environmental Protection Agency rules intended to drastically reduce planet-warming carbon dioxide emissions from cars and coal-fired power plants, will be the White House’s formal submission to the United Nations ahead of a summit meeting in Paris in December…..
More than 70 percent of surveyed companies say they’re at least “somewhat concerned” that climate change will have a material impact on their value chain, in particular their supply chain, distribution and customers and markets. Two-thirds of the respondents expressed concern over increased operational and capital costs and reported they had already experienced cost increases or thought they were a likely outcome. Water scarcity and political instability driven by climate change are cited as the top two anticipated risks across sectors. Water scarcity emerged as the climate hazard of greatest concern for corporations, with 16 percent citing it as a risk, followed by social and political instability driven by climate change, at slightly above 14 percent. Cleanup of a 21,000-gallon oil spill off the Santa Barbara County coast begun at sunrise Wednesday, the U.S. Coast Guard said, with crews flying overhead to assess the damage. The rupture on an 11-mile long underground pipe, part of a larger oil transport network bound for Kern County, was first reported about noon Tuesday after a woman at Refugio State Beach in Goleta smelled the crude’s noxious fumes. Coast Guard crews stopped the leak by 3 p.m., said Petty Officer Andrea Anderson. The cause of the break in the pipeline had not yet been determined, officials said. They were still trying to assess the environmental damage, which sent oil onto beaches. The pipeline, built in 1991 and designed to carry about 150,000 barrels of oil per day, is owned by Houston-based Plains All American Pipeline, which said in a statement that it shut down the pipe about 3 p.m. The culvert also was blocked to prevent more oil from flowing into the ocean, the company said. The company is sending between 60 and 70 employees to help with the cleanup effort Wednesday, Anderson said. Coast Guard crews and barges will be using skimmers and booms to try and limit the oil’s spread and eventually pull it from the water. Some of the oil had already reached the coastline; images of blackened rocks and oil-caked sand were posted across social media. The Coast Guard described the spill as “medium” in size. Though the weather won’t be particularly rough at sea during the effort, winds blowing east along the coast at about 15 knots could push the oil closer to the beach town of Isla Vista, the National Weather Service said. “It is horrible,” said Brett Connors, 35, a producer from Santa Monica who said he spotted sea lions swimming in the oil slick. “You want to jump in there and save them.”….. In a new study, researchers find that dolphins in the Gulf of Mexico region had major lung and adrenal lesions after the BP oil spill. Last week, when the Obama administration gave tentative approval to Shell Oil’s plan to return to the Arctic after its disastrous attempt to find oil there in 2012, I found myself thinking of a conversation I had several years ago with a man named Jeremy Bentham. A theater-loving Englishman, Bentham leads Shell’s legendary team of futurists, whose methods have been adopted by the Walt Disney Company and the Pentagon, among others. The scenario planners, as they call themselves, are paid to think unconventional thoughts. They read fiction. They run models. They talk to hippies. They talk to scientists. They consult anyone who can imagine surprising, abrupt change. The competing versions of the future — the scenarios — that result from this process are packaged as stories and given evocative titles: “Belle Époque,” “Devolution,” “Prism.” Then the oil company readies itself, as best it can, for all of them. Over the course of almost half a century, Bentham’s predecessors in the scenario-planning group helped Shell foresee and prepare for events like the fall of the Soviet Union, the rise of Islamic extremism and the birth of the anti-globalization movement. More recently — before California’s historic drought — the team focused on water scarcity. And long before most other oil companies, Shell’s scenario planners helped the company understand that climate change was a strategic and scientific reality. In early 2008, weeks before Shell bid a record-breaking $2.1 billion on oil leases in the melting Arctic Ocean — the basis for the newly approved drilling plan — the company’s futurists released a new pair of scenarios describing the next 40 years on Earth. They were based on what Bentham called “three hard truths”: That energy demand, thanks in part to booming China and India, would only rise; that supply would struggle to keep up; and that climate change was dangerously real. Shell’s internal research showed that alternative energy systems — wind, solar, carbon capture — would take decades to make just a 1-percent dent in our massive global energy system, even if they grew at 25 percent a year. “It takes them 30 years to just begin to start becoming material,” Bentham explained to me. One scenario, called “Blueprints,” painted a moderately hopeful vision of green energy and concerted action within the constraints of technological change, of a swiftly rising price on carbon emissions as the world comes together to remake its energy systems. In this vision of the future, there is active carbon trading. There is a strong global climate treaty. There is still far more warming than society can easily bear — approaching 7 degrees Fahrenheit — but the world still averts the very worst of climate change. The second scenario, called “Scramble,” envisioned a future in which countries fail to do much of anything to reduce emissions, and instead race to secure oil and coal deposits. Only when climatic chaos breaks out does society take it seriously, and by then great damage has already been done. Drilling in the Arctic, thought to hold up to a quarter of the world’s untapped oil and gas, has a role in both scenarios — but under “Scramble,” it is irresistible. The oil giant awaited government action: a market signal in the form of a carbon price. But when I interviewed him four years later, Bentham admitted to me that the future, so far, was looking a lot more like the chaos of “Scramble.” We had no working international climate agreement and no real price on carbon. Instead, we had a global race for gas, coal and the last drops of conventional oil. When I talked to Bentham, it was early December 2012. Three weeks later, on New Year’s Eve, Shell’s Arctic drill rig, the Kulluk, crashed into an island off the Alaskan coastline in a violent winter storm — a disaster I wrote about in this magazine. After the accident, political and economic circumstances seemed to turn decisively against Shell’s Arctic aspirations. The Obama administration began talking tough: “Shell screwed up,” said Ken Salazar, the interior secretary at the time. ConocoPhillips and Statoil, Shell’s rivals in the Alaskan Arctic, delayed their own offshore-drilling plans. Global oil prices soon dropped precipitously, making expensive plays in the high north even riskier. Yet the drilling plan that the Obama administration approved on May 11 is not much different from the one that ran aground along with the Kulluk two and a half years ago. One of company’s drill ships will be the same as before: the Noble Discoverer, a 49-year-old converted log carrier that was previously at the center of eight felony pollution charges. Last month, the vessel failed another Coast Guard inspection in Hawaii. In place of the Kulluk, Shell will use a squarish, 319-foot-tall behemoth called the Polar Pioneer. This replacement rig flies the same Marshall Islands flag of convenience as the Kulluk and will be towed along the same general route to and from the Chukchi Sea from Seattle — a 2,000-mile voyage by tugboat. The Discoverer and the Pioneer will cross the same churning waters in the Gulf of Alaska. They’ll begin drilling in the same assuredly oil-rich patch of seabed in the Chukchi, some 70 miles from shore and a thousand miles from the nearest permanent Coast Guard base from which help could be dispatched if something goes wrong. The fact that so fundamentally little has changed since the debacle of 2012 is shocking — unless you understand that our leaders have long shared the oil company’s worldview. Drilling the Chukchi is not a choice, say the adults in the room; it’s an inevitability. When the federal government auctioned off the Chukchi leases in 2008, Randall Luthi, a Bush appointee who was then the head of the agency then called the Minerals Management Service, gave a speech in Alaska in which he stumbled repeatedly over the word Inupiat — the name of the Alaska Native people whose villages dot the Chukchi coastline — but managed to present this argument perfectly. “Our demand for energy is going to increase by approximately 1.1 percent a year over the next generation,” he declared. “U.S. production is not expected to keep pace. Now, it doesn’t take too much to realize that when you’re demanding more than you’re producing, there’s a shortfall.” One of Luthi’s successors under the Obama administration, Tommy Beaudreau, underscored the “tremendous” size of the prize. Estimates held that “the Chukchi Sea contains more than 15 billion barrels of undiscovered recoverable oil,” Beaudreau told the Senate, “which is second only to the central Gulf of Mexico.” For me, living in Seattle as Shell’s Arctic fleet again gathers in Puget Sound and activists in kayaks try to stop it with a blockade, it’s hard not to think of the arc of the president who just signed off on another drilling mission. In his 2008 campaign, President Obama seemed to plan for an optimistic vision of the future, only to have the opposing scenario unfold. Four years later, his campaign’s energy slogan — reiterated in his 2014 State of the Union address — might as well have been written by Shell: All of the above. Lately, Obama has made climate change a priority. He has signed off on an ambitious climate pact with China, and his administration is finalizing regulations for coal-fired power plants. So far, he has blocked the construction of the Keystone XL pipeline. That he is simultaneously opening up the Arctic Ocean only shows the staying power of Shell’s three hard truths. In this worldview, where society stays stuck on oil because history shows that we must, there is one kind of abrupt change that remains unimaginable. In the years following the 1986 Chernobyl nuclear disaster, forest fires billowed plumes of contaminated smoke, carrying radioactive particles throughout Europe on the wind. Now, researchers fear that a shift to a hotter, drier climate in Eastern Europe could increase the frequency of these fires…..
MCL will host this illustrated presentation on the California State Coastal Conservancy’s Living Shorelines pilot project, underway along San Rafael’s Bayfront, which is using natural processes to improve the shoreline’s ability to improve native habitat while also coping with the impacts of sea level rise. MCL members and guests are welcome and there is no charge for this event. The project, now in its third year, is testing the use of living reefs composed of native oysters, eelgrass, and other materials, as a strategy to reduce the need for engineered hard structures to protect low-lying areas against rising waters and storm surges. The project is being conducted in two locations: along the Hayward shoreline and in San Rafael Bay. The San Rafael location is a wide, shallow mudflat between Point San Quentin to the south and Point San Pedro to the north. Herring often spawn along this shoreline and could also benefit from restored subtidal habitat. Join us for a discussion and share how your organization may be adapting (and barriers to adapting) conservation easements to anticipated consequences of climate change on natural communities and resource productivity. June 11-12, 2015, Los Banos Community Center, Los Banos, CA. More information will follow soon, but save the date! Registration for the CERF 23rd Biennial Conference is now open! The CERF 2015 scientific program offers four days of timely, exciting and diverse information on a vast array of estuarine and coastal subjects. Presentations will examine new findings within CERF’s traditional scientific, education and management disciplines and encourage interaction among coastal and estuarine scientists and managers. Plus, there are plenty of workshops, field trips, and special events to get involved with that will make this conference one you won’t want to miss. Abstract Submissions are OPEN for the 21st Biennial. We are currently accepting abstract submissions for workshops, oral, speed and poster presentations for the 21st Biennial Society for Marine Mammalogy Conference, to take place in San Francisco from December 13-18, 2015. The submission deadline is May 15th, 2015. Workshops will be held on December 12-13th. The 2016 Ocean Sciences Meeting will be held 21-26 February 2016 at the Ernest N. Morial Convention Center, located at 900 Convention Center Blvd., New Orleans, LA 70130. Cosponsored by AGU, ASLO, and TOS, the Ocean Sciences Meeting will consist of a diverse program covering topics in all areas of the ocean sciences discipline. The abstract submission site will open 15 July 2015; stay tuned for more details about how to be a part of the scientific program. Point Blue is hiring a Senior Marine Spatial Ecologist to help us drive climate-smart conservation actions off the Sonoma coast and across the entire California Current ecosystem. The Marine Ecologist will play a key role in Point Blue’s strategic initiative to conserve ocean food webs by helping to: 1) identify the effects of climate change on marine wildlife distribution patterns and the location and function of food web hot spots, 2) guide ocean adaptation planning, management, and zoning to improve the conservation of threatened ocean resources within California’s National Marine Sanctuaries, 3) use monitoring and citizen science to inform public outreach and policy recommendations that will reduce human impacts on marine wildlife, and 4) coordinate and support collaborative science and resource management activities with key agencies and stakeholders. The Marine Ecologist will work collaboratively with staff across the California Current Group and Point Blue, as well as externally with public and private partners to carry out research and monitoring, perform analyses, engage in policy and resource management discussions, and disseminate results. Supervision will be provided by Point Blue’s California Current Group Director. To Apply E-mail: (1) cover letter describing qualifications and reasons for interest in this position and Point Blue, (2) complete CV/resume, and (3) contact information (including phone numbers and e-mail addresses) for 3 references to jobs@pointblue.org with “Marine Ecologist” in the subject line. Applicants may be subject to background checks. Application deadline is May 31, 2015; the position will remain open until a successful candidate has been identified. For more information please follow this link: http://www.pointblue.org/…/jobs-and-intern…/marine-ecologist. The Jockey Club Museum of Climate Change, possibly the only museum specifically devoted to the issue, may offer inspiration for a group seeking to build a similar site in Manhattan. Physicist combines music, images and climate science. Davies hopes the performance will motivate people to take more responsibility for their environmental behavior. He has plans to create up to three new shows for the crossroads project in the next several years. Source: Crossroads Project website brochure. Supplementing the plant-based Mediterranean diet with antioxidant-rich extra virgin olive oil or mixed nuts was associated with improved cognitive function in a study of older adults in Spain but the authors warn more investigation is needed, according to a new article. High salt diets may delay puberty. As the salt content of Western diets continues to increase these findings could have significant consequences for the reproductive health of future generations. Stars: A Size Comparison— a perspective on the universe! …some of the most frequently asked questions are about stars: what are they, how far away are they, are they explosions or just balls of burning gas. Basically, what is up with those things we call stars? Most of the time people think that every star they see in the sky is just like our own star, the Sun. They know the Sun is a star and that it appears to be larger than the other stars because it is so close to us. The other stars in the sky are further away, obviously, but they just assume that they’re still relatively the same size as our own Sun. It’s true that they’re all far away (in varying degrees) but it’s not true that they’re all the same size. Stars come in a variety of sizes. The smallest star currently discovered is OGLE-TR-122b. This star is around 96 times more massive than Jupiter. This type of star is called a red dwarf. The largest star discovered so far is called VY Canis Majoris and has a diameter of about 1,975,000,000 kilometres (1.227×109 mi). This star is known as a red hypergiant. This might be hard to wrap our heads around. For example, the Earth is about 26,000 miles in circumference. If you were to fly on a commercial jet airliner all the way around the Earth (having to stop to refuel, of course) it would take you about 47 hours. All the while our own Earth (in its own orbit) takes a year to travel around the Sun. So how long do you think it would take to fly all the way around the circumference of VY Canis Majoris in that same jet airliner? Well, I saw a video online a couple of years ago that blew my mind. It was about star comparisons and it helped illustrate just how big some of these stars are. 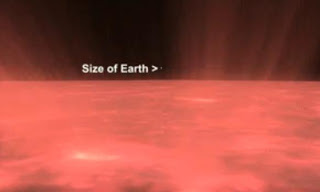 If you want to know just how big VY Canis Majoris is and how long it would take you to fly around it in a jet then check out the video. You might be amazed by the answer. Threats like coastal erosion, storms and flooding can reshape the shoreline and threaten coastal property. With approximately 350,000 houses, business, bridges and other structures located within 500 feet of the nation’s shoreline, erosion is a problem many U.S. coastal communities are addressing. Coastal flooding caused by extreme weather events and sea level rise is of growing global concern. As noted in this study, in 2012 there were 11 weather and climate billion-dollar disaster events across the United States, including superstorm Sandy, causing 377 deaths and more than $110 billion in damages. While only two of those were coastal events, Sandy alone was responsible for nearly sixty percent of the damages, at $65 billion (the other, Hurricane Isaac, caused $3 billion in damage). Nationally, these made 2012 the second costliest year on record for weather disasters. Only 2005, which incurred $160 billion in damages due in part to four devastating coastal hurricanes, saw more. Dying of thirst and hunger, critters search for sustenance. For the giant kangaroo rat, death by nature is normally swift and dramatic: a hopeless dash for safety followed by a blood-curdling squeak as their bellies are torn open by eagles, foxes, bobcats and owls. They’re not supposed to die the way they are today — emaciated and starved, their once abundant population dwindling to near nothing on California’s sprawling Carrizo Plain, about 100 miles northwest of Los Angeles, where the drought is turning hundreds of thousands of acres of grassland into desert. Without grass, long-legged kangaroo rats cannot eat. And as they go, so go a variety of threatened animals that depend on the keystone species to live. “That whole ecosystem changes without the giant kangaroo rat,” said Justin Brashares, an associate professor of wildlife ecology and conservation at the University of California at Berkeley. Endangered kangaroo rats are just one falling tile in the drought’s domino effect on wildlife in the lower Western states. Large fish kills are happening in several states as waters heated by higher temperatures drain and lose oxygen. In Northern California, salmon eggs have virtually disappeared as water levels fall. Thousands of migrating birds are crowding into wetlands shrunk by drought, risking the spread of disease that can cause huge die-offs. As the baking Western landscape becomes hotter and drier, land animals are being forced to seek water and food far outside their normal range. Herbivores such as deer and rabbits searching for a meal in urban gardens in Reno are sometimes pursued by hawks, bobcats and mountain lions. In Arizona, rattlesnakes have come to Flagstaff, joining bears and other animals in search of food that no longer exists in their habitat…. “You think about it. In our urban environments, we have artificial water. We’re not relying on creeks,” said David Catalano, a supervisory biologist for the Nevada Department of Wildlife. “We have sprinkling systems. We water bushes with fruit and water gardens. That’s just a magnet for everything. “We’ve seen an increase in coyote calls, bear calls, mountain lion calls — all the way to mice and deer,” Catalano said of the distress calls made to his department by residents. “At your house, everything is green and growing and flowering, and they’re being drawn to it.” The state wildlife agency said it is preparing for a deluge of calls reporting bear sightings from Lake Tahoe this summer when berries and other foods they eat disappear for lack of rain. About 4,000 mule deer have vanished from a mountain range near Reno since late last year, probably because of drought. “Our level of concern is very high,” Catalano said. Nevada has placed low fiberglass pools called guzzlers that hold up to 3,600 gallons of water at more than 1,000 wilderness areas across the state to provide water for wildlife. If present trends continue, a hotter world could spell the demise of 16% of the species alive today Even if temperatures rise only 2 degrees C above pre-industrial times, the global extinction risk will be 5.2% ‘Extinction risks from climate change are expected not only to increase but to accelerate,’ study warns About one in six species now alive on the planet could become extinct as a result of climate change, according to a study published in Friday’s edition of the journal Science. If present trends continue, the Earth’s temperature will wind up 4.3 degrees Celsius higher than it was before the onset of the industrial era. Should that scenario come to pass, as many as 16% of species around the world would be at risk of dying out, the study says. 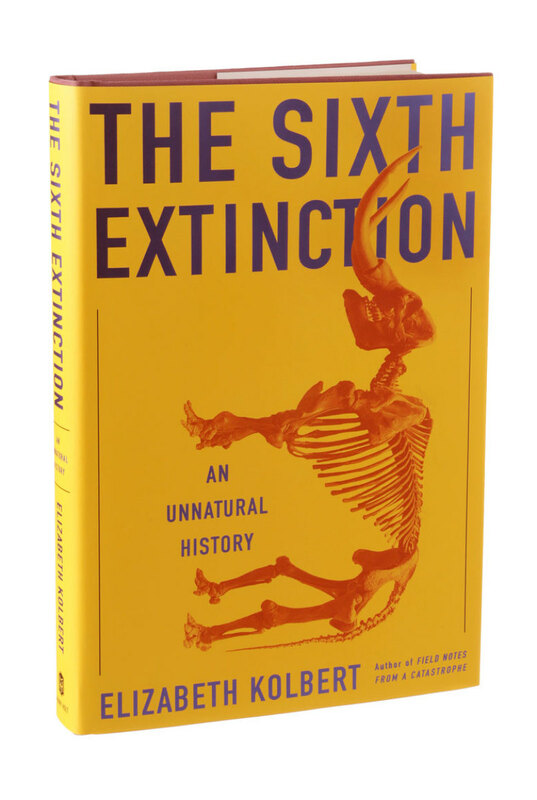 Author Mark Urban, an ecologist and evolutionary biologist at the University of Connecticut, based his calculation on a meta-analysis of 131 previous studies that made predictions about how multiple species would fare in a warmer world. Although the studies focused on different species in different parts of the world and used different modeling techniques to make their forecasts, Urban’s statistical methods found that none of those variables mattered as much as “the level of future climate change.” For instance, the current risk of global extinction is 2.8%, Urban wrote. But the hotter the Earth gets, the more that risk rises…. Global warming brews weird weather: Human influence on extreme heat and rain events is growing. Climate change will increase the risk of extreme precipitation, such as storms that cause flooding. Global warming has profoundly changed the odds of extreme heat, rain and snowfall, researchers report on 27 April in Nature Climate Change1. Climate change caused by human activities currently drives 75% of daily heat extremes and 18% of heavy rain or snowfall events, the team found — warning that further global warming will sharply increase the risks of such weather. The researchers looked at ‘moderate’ extremes, which they defined as events expected to occur on 1 in every 1,000 days under present conditions. “Climate change doesn’t ’cause’ any single weather event in a deterministic sense,” says Erich Fischer, a climate scientist at the Swiss Federal Institute of Technology in Zurich (ETH Zurich), Switzerland, and the study’s lead author. “But a warmer and moister atmosphere does clearly favour more frequent hot and wet extremes.” The researchers found that local variations in weather are already large, even though the global average temperature has risen by just 0.85 °C since the start of the Industrial Revolution. This finding agrees with earlier research on climate and weather extremes. A paper published in Nature in 2011, for example, found that climate change has already doubled the risk of the atmospheric conditions that produced catastrophic floods in England and Wales in 20002; an earlier study found the same result for the conditions that triggered a massive European heat wave in 20033. And human influence on the ‘moderate’ extremes examined in Fischer’s study is set to increase with every degree that the temperature rises, finds the analysis. If the world were to warm by 2 °C above the pre-industrial level, human-caused climate change would drive 40% of rain and snow extremes and 96% of heat extremes, the researchers found….